Dadarao Bilhore, 48, repairs a road near his house in Mumbai, India. Dadarao Bilhore is a 48-year-old vegetable seller, but for the past three years he has been working to improve the poor roads in Mumbai, India. Whenever he can, Bilhore equips himself with a shovel and begins to fill potholes. 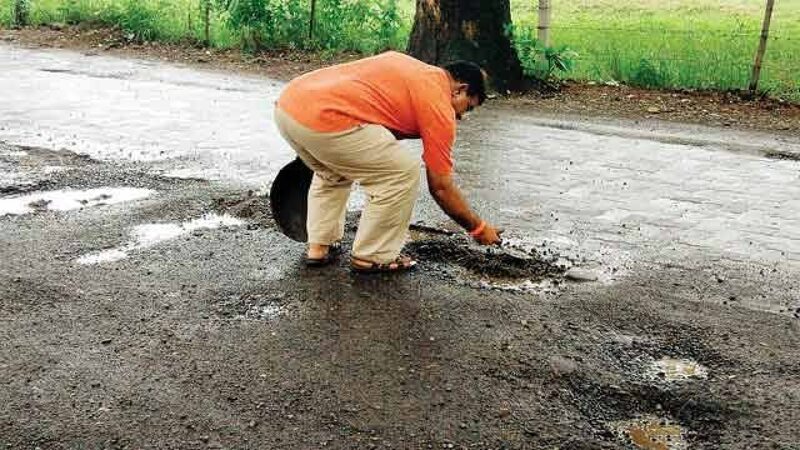 Sometimes he does it alone, sometimes with the help of volunteers, and his goal is to somehow reduce the number of road deaths due to the poor condition of the roads. According to official statistics from his country’s government, the deterioration of roads was behind the deaths of 3,597 people across India during 2017. 10 people per day. In addition to preventing other people from dying on the road or other families from going through the hard time of losing a relative in this situation, Dadarao is doing so to pay tribute to his son, Prakash Bilhore, a 16-year-old boy who lost his life in 2015 due to a motorcycle accident. Apparently, a deep pothole caused the driver of the vehicle, his cousin, to lose control and they were shot. But Prakash was riding without a helmet. He flew 10 feet and landed in the street, knocked unconscious. When he was brought to a hospital, doctors said he had suffered a brain hemorrhage and had died. His cousin was wearing a helmet and had minor injuries. The tragic accident occurred during the monsoon season, where heavy torrential rains are the main cause of road uplift and hole formation. Since Dadarao began his work, he has repaired a total of 600 potholes on different roads. In his work, he uses sand and gravel that he collects from construction sites. He uses sand and gravel that he collects from construction sites.